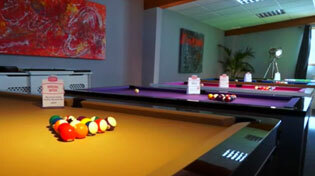 Home Leisure Direct carries a huge range of Peradon English Pool cues. Made in the UK, and In stock now for free UK delivery. Peradon English pool cues have been made since the late 1800s, making Peradon the oldest cue manufacturer in operation today, and undoubtedly one of the most experienced. Made in the UK in Peradon’s own Liverpool workshop, every Peradon cue is made using the finest timbers from across the globe, from strong ash, beautiful rosewood, classy ebony or even a selection of more exotic woods. The woods themselves undergo very strict quality control measures, ensuring that every single cue produced adheres to Peradon’s exemplary standards. Peradon’s modern machine-spliced cues are already some of the finest on the market, and only the very finest cuts of wood are selected to become hand-spliced cues. All of our Peradon cues come with free delivery to mainland UK. However, for locations outside the UK mainland there may be an additional charge depending upon your exact location. Please call our friendly customer service team on 0800 622 6464 for a quote. Visit our showrooms to see the range of Peradon cues we currently have in stock. You can try each of them out for yourself, and ask our experienced staff anything you need to point you in the right direction of your perfect cue.